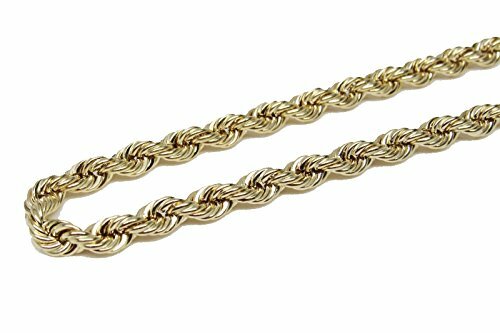 10K Yellow Gold Italian Rope Chain 28'' 5mm wide Hollow by Melano Creation at Blood of The Young. Hurry! Limited time offer. Offer valid only while supplies last. Solid 14K Yellow Gold Dainty Four Way Cross Charm with God Bless You Pendant Cuban Chain Necklace, 20"
Heart Diamond Pendant Necklace in 10k Gold (0.10cttw, IJ, I2/I3) 18"